For almost as long as there have been video games, there have been aliens in video games. The existence of life on other planets and in other star systems is something that’s fascinated creative types since we first looked outwards from our little rock, and titles like Asteroids, Space Invaders and Blaster Master showed us how excited (and terrified) we were by the concept of visitors from outer space. Of course, it didn’t take long for the plucky little extraterrestrials to start acting as our protagonists, informed by blockbuster movies like Close Encounters of the Third Kind and E.T., the latter of which had its very own (utterly terrible) video game for the Atari 2600. Suffice it to say that aliens are an enduring cultural icon in the public consciousness, and it’s not likely that they’ll leave us until we do discover alien life and realize that it’s pretty dull. 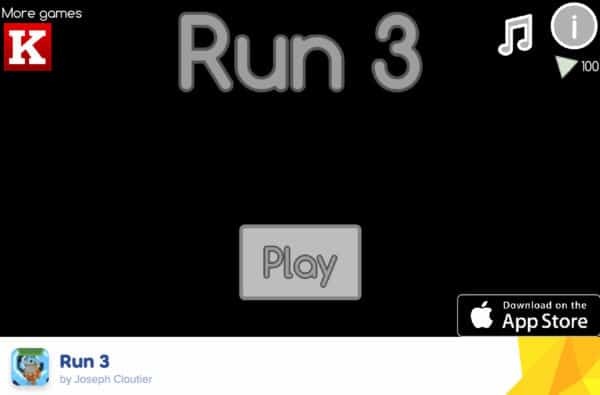 Luckily, until then, we have titles like Run 3, brought to us by Joseph Cloutier. Cloutier’s previous work focuses exclusively on the Run series, which he’s been honing and perfecting since the release of the first title back in 2013. Unlike many of the games we mentioned above, Run doesn’t focus on an invasion scenario. Rather, the player takes control of the little space explorer themselves, and each Run game sees the alien traversing a series of hostile space environments to reach the goal of each level. It won’t be any great surprise for fans of the series to learn that Run 3 doesn’t completely reinvent the wheel in this regard. Rather, what Cloutier has done here is to refine and hone the formula he’s been working on since the first game, creating what is arguably the definitive iteration on the Run model. That’s not to say the first two games aren’t still worth visiting; they’re great games in their own right, and offer a different challenge to this newest one. That said, this is definitely the “improvement” kind of sequel rather than the sideways step it might have been. Like its two predecessors, Run 3, now available on Poki.com, focuses on our little alien protagonist, once again running for his life through a series of vertiginous and life-threatening stages in space (or, at least, set against the backdrop of space). The Run games are a mixture of endless runner, 3D platformer, racing game and gravity-warping puzzler, and the third game is no exception. 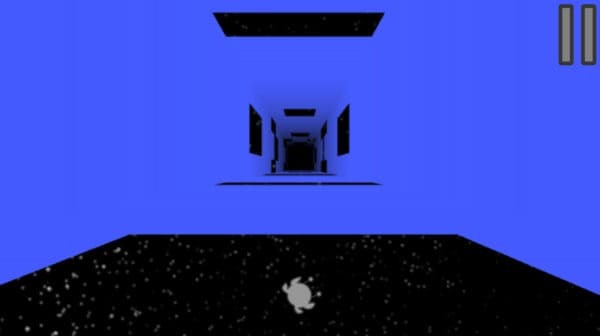 In the previous two, though, Cloutier flirted with the idea of tunnel-style kaleidoscopic stages by giving the player the ability to freely transition between walls. This third game takes that idea a step further by making many of the levels freeform tunnels, allowing our protagonist to move along the shape’s faces at will. This more freeform approach suits the run-and-jump gameplay of the Run series perfectly. 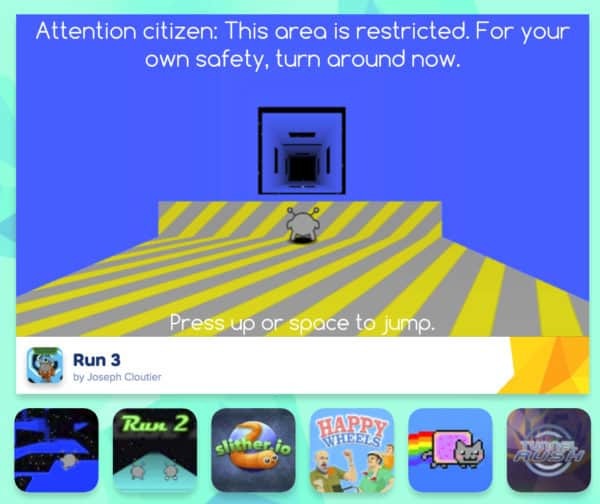 Rather than the occasionally awkward platforming challenges presented by Run and Run 2 (which we still love, by the way), the third game gives players the option of tackling stages in whatever way they wish, choosing which set of hazards they feel most comfortable surmounting and thus increasing the amount of player choice in the game. Elsewhere, that mixture of calming, relaxing atmosphere and challenging gameplay is still present. The Run series has always excelled at juxtaposing the two emotional states, calming players with its abstract aesthetic and weirdly chilled-out techno music at the same time as it ramps up the tension with ever-increasing difficulty. Run 3 is no different in this regard, providing players with a calming suite of block-color abstract shapes to run through and introducing a number of different blocks and floor types which vary and increase the challenge. Along with the usual jumps and gravity defiance, there’s now also blocks which collapse as players run over them, necessitating solid decision-making, along with other new types of hazard to look out for. All told, Run 3 is a very, very solid experience indeed. It doesn’t quite have the polish of its bigger stablemates, but then it doesn’t have their budget, either, so what it does accomplish within its means is extremely impressive. The gameplay is varied, challenging and consistently fun; the aesthetic is pleasing without being overbearing at any point; and the extra unlockables and framework of the Galaxy Map give the game a fun, fresh spin on its predecessors’ formula. If you’re a fan of the previous games in the series, then you’ll already know that you want to play this one, but if you’re just coming into the Run series then we’d strongly urge you to start here. It may seem counter intuitive to approach the series on the third installment, but this really is the definitive expression of what the Run games can be and what they can achieve.